The chapter walked in support of people with disabilities (specifically Cerebral Palsy) and in support of The Ability Experience. An active brother has a younger brother with Cerebral Palsy and the chapter included him by walking him the entire 3.1 miles. His family was there as well, and together the group, with custom shirts and all, had a great experience over the course. 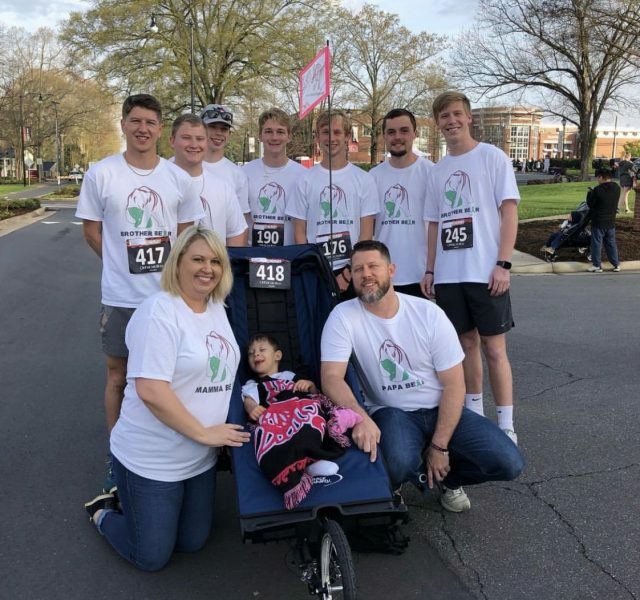 The custom shirts were provided by Jonathan Boyles, a local realtor and the stroller was provided Ainsley’s Angels, a national organization dedicated to helping people of all abilities experience endurance athletic events. It was a great event and the chapter raised a lot of awareness, including a shoutout by the university’s president on Twitter.